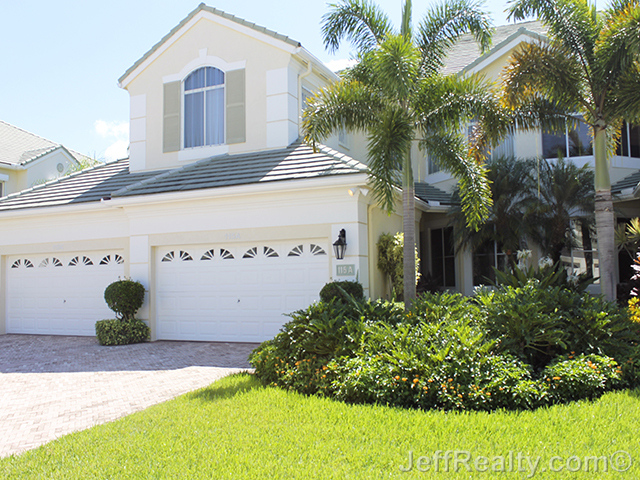 Live on the golf course in this tastefully-decorated home at 115A Palm Point Circle in The Palms at BallenIsles. Situated on the 5th fairway of the East course, this split-floorplan home is perfect for entertaining friends and family. If you love to entertain, this is the perfect kitchen! With plenty of counter space, a large eat-in area, and pass-thru to the dining room, entertaining could never be easier! The breakfast area has a large bay window that allows in plenty of natural light, along with loads of recessed lighting and crown molding. The dining room is situated right off of the kitchen and is open and spacious with a pass-thru to the kitchen for extreme convenience. With a whole wall of nothing but glass, the views of the golf course from the great room are incredible. This is the perfect room to entertain family and friends or cuddle up for a quite movie. The great room offers beautiful built-ins, crown molding, and recessed lighting. A master bedroom that is spacious & bright with dramatic views of the 5th fairway of the East course, and two walk-in closets with custom shelving. The master bathroom is beautifully designed with granite countertops and features a vanity area, Roman tub, separate walk-in shower, and dual sinks. The two guest bedrooms share a hallway bathroom. Enjoy sitting out on the patio no matter what the weather. 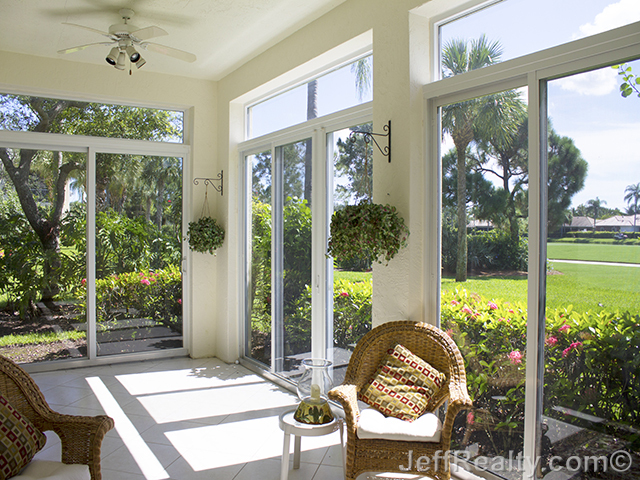 This spacious patio has been enclosed with impact resistant glass. Some extras include: crown molding throughout, ceramic tile throughout, and the patio has been enclosed with impact glass. Posted in BallenIsles, BallenIsles Homes, BallenIsles homes for sale on August 2, 2014 at 10:01 am.